The following five posts are of our amazing lunch at Le Cinq. Some awesome food ideas! ≈≈≈≈≈≈≈≈≈≈ 4. 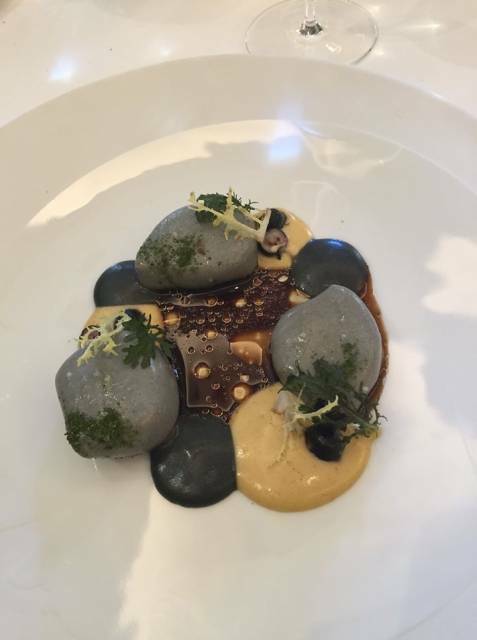 Pebble foie gras with truffle balsamic, mustard and ash, along with blueberry. Art on a plate, more impressive in person. A dish that Le Cinq is famous for.